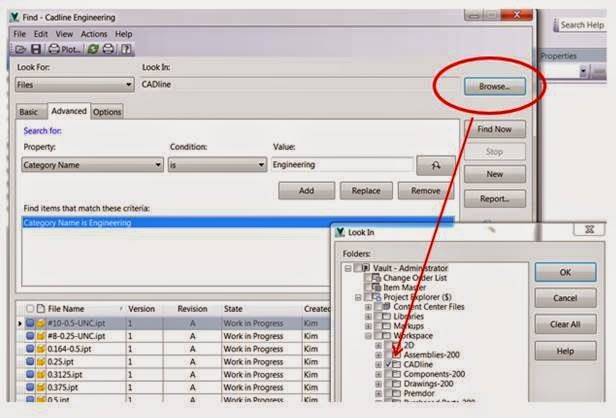 Using the find tool, set the advanced find criteria, this example shows Category Name selected and a specific folder (Cadline). Note that you may add multiple criteria if you wish. You can use the `Find Now’ button to give you an instant result, make sure to save the search. This will then appear under My Search Folders in the Vault Browser. To create a report from the saved search, simply right-click over the folder and select `Report’. 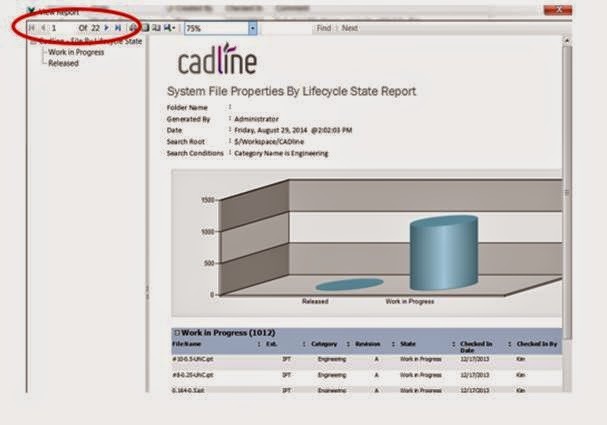 A select of default `rdcl’ templates are selectable, I’ve used a modified one here that displays our Cadline logo and reports on the lifecycle states of the files; once OK is selected the report will be created. Note that the report window contains a number of controls; the image scale here is set to 75%. Note too that the `tree’ selection allows quick access to those files in WIP or Released. If you wish to create an xls format, select the export button from the Report window. Select a name and location of the file. Viewing the xls will display two sheets, with the category short-cuts shown on sheet-1 and the data on sheet-2. I will cover editing the report templates in a later Blog. 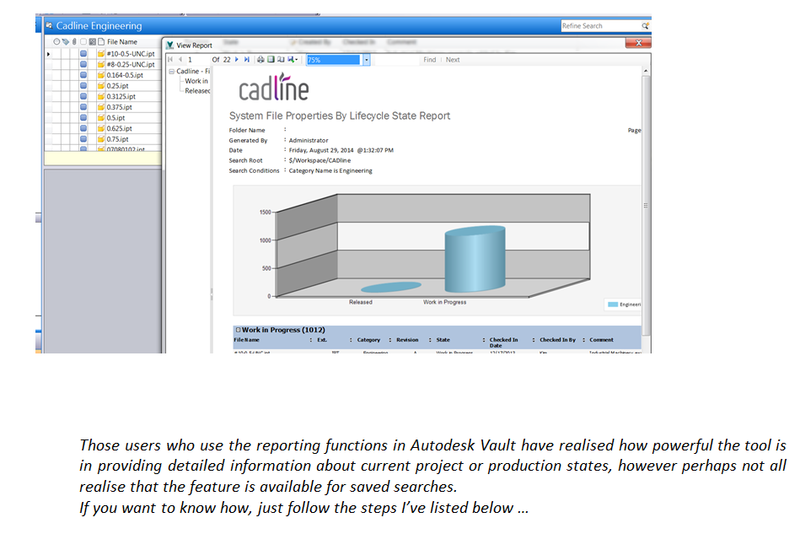 Autodesk Vault – Are you a `double-clicker’?